welded frames for rugged durability. 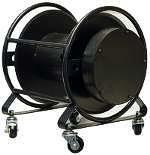 designed for use in demanding applications. and small diameter multipair cable. without having to unspool the entire length. split reel for the fanout section and pigbag. and the WD7) ideal for remote van applications. cable of your choice for an additional charge. 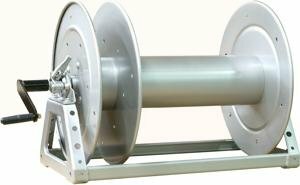 These reels are lightweight and economical. 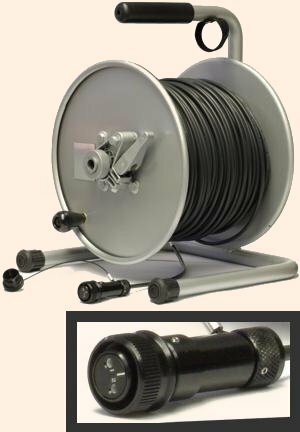 All capacities based on neat coiling of cable on reel. 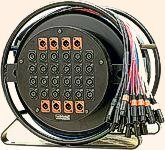 3 Capacity of 25' microphone cables connected end to end is 500ft. due to quantity and thickness of XLR connectors. on the bottom for storing the stage box. tear-down and transportation a lot easier. Medusa� snake with a separate reel. Please call 1-800-816-4262 or E-Mail:jackie@1staudiousa.com for price.